Many brands that say they are producing sustainable product are in reality greenwashing their textile production in China, according to the latest report from five environmental NGOs in China. “Sustainable Apparel’s Critical Blind Spot,” which can be found here, was a follow on from a report I wrote about here released in April that named 49 global fashion brands using polluting factories in China and suggested consumers make a “green choice” when buying clothes. Led by Ma Jun’s Institute for Environmental and Public Affairs, “Cleaning up the Fashion Industry” listed 6,000 water pollution violations by manufacturers of goods ranging from sports apparel to luxury handbags. Subsequently, 30 brands began conversations with IPE about how to improve the environmental performance of their supply chain, according to Ma Jun. Clothing brands and retailers such as H&M, Nike, Esquel, Levi’s Adidas, Walmart, Burberry and Gap have all established regular screening mechanisms, are actively identifying pollution violations in their supply chain and have pushed more than 200 textile and leather suppliers to clean up. Adidas, Nike, Levi’s and H&M have begun to address environmental challenges with their dyeing and finishing suppliers, the report said. The latest investigation looked deeper into supply chains following a letter sent September 25th by the NGOs to the 49 brands requesting information about pollution management issues at materials suppliers. In all, 22 of the brands receiving the letter, including Marks & Spencer, Disney, J.C. Penney, Polo Ralph Lauren and Tommy Hilfiger gave limited or no responses to specific questions relative to emissions violation problems in their supply chain. This despite Marks & Spencer, for example, promoting its “Plan A”, which is a sustainable business benchmark for global textile companies and retailers. Companies promoting sustainability should “not continue to let suppliers pollute the environment and hurt communities whilst using concepts such as ‘zero waste’ and ‘carbon neutral’ to greenwash their performance,” the environmental NGOs wrote in the report. The report draws attention to the fact that textile exports from China have dropped recently, weighed by higher labor costs in China, trade barriers, the appreciation of the RMB and higher resource costs. Big brands have moved some of their cut and sew production to South and Southeast Asia. Nike shut down its only shoe factory in China and recently, Adidas also closed its only factory in China, leading people to believe China is steadily losing its status as the textile factory to the world. But materials production is still concentrated in China, with exports of these products rising steadily, according to the report. This is the most polluting portion of the apparel supply chain. In the raw materials processing sector, which includes dyeing and finishing, exports are growing steadily. According to the 2011/2012 China Textile Industry Report, for the six main printing and dyeing product categories, the total amount of exported printed and dyed cloth was 14.412 billion meters which showed a year on year growth of 13.76%. The value of exported printed and dyed products was US$16.979 billion, which showed a year on year growth of 31.26%. However, at the same time the total value of all exported textile products only increased by 0.49%. The cut and sew industry provides the most jobs, uses less water and energy and pollution discharge is not a big problem. However, the reverse is true for textile production. Essentially, China has kept the dirty part of the business, while allowing the relatively clean, job-creating cut and sew industry to wane. The problem is that enforcement of pollution remains weak in China, while the cost of inputs like water and energy are still relatively low. So dyeing and finishing companies often avoid any water or energy savings initiatives and disregard pollution control, ignoring environmental laws and regulations. Sustainable apparel in particular, has a ”dangerous blind spot,” according to the report, which means that dyeing and finishing mills and factories lower their environmental standards to cut costs and win orders in a race to the bottom. 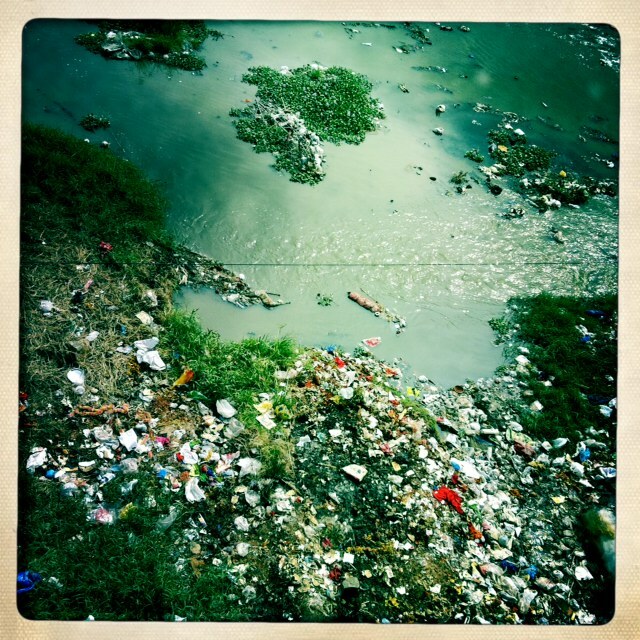 Essentially the problem is that most apparel and retail brands still choose not to look into the polluting part of their business – the bottom of the supply chain. Consequently, materials manufacturers are still trying to produce in the cheapest way possible in order to keep costs low for fast fashion. We as consumers must recognize that we have a choice not to buy the cheapest item on the shelves, to acquire less and from companies that truly care about not doing harm to our planet.